GUILDFORD, U.K., June 1, 2010 – Today the EA Play Label of Electronic Arts Inc. and Warner Bros. Interactive Entertainment announced that two Harry Potter and the Deathly HallowsTM videogames are in development to coincide with the much-anticipated final adventure in the Harry Potter film series from Warner Bros. Pictures which will be told in two full-length parts. The Harry Potter and the Deathly Hallows - Part 1 videogame will be released this autumn on all major gaming platforms. 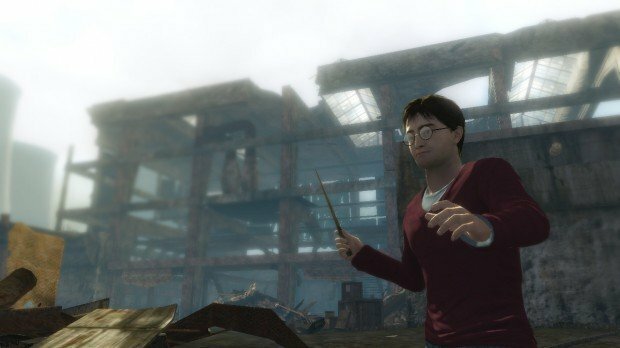 The Harry Potter and the Deathly Hallows Part 1 videogame is packed from start to finish with action and combat. Players will be on the run, fighting for survival on a desperate and dangerous quest to locate and destroy Voldemort’s Horcruxes, engaging with Death Eaters and Snatchers in epic battle sequences at every turn. To amplify the action, players will encounter ferocious creatures from the previous films in addition to the adversaries Harry faces in the seventh film. They will need to muster their most powerful magic against relentless assaults from all sides. There are no more lessons, no more training. This time the danger is real. It’s time for players to fight for their lives. A new game engine built specifically to leverage the technology of HD consoles ensures high definition graphics and intense combat gameplay that will immerse players in the action like never before! 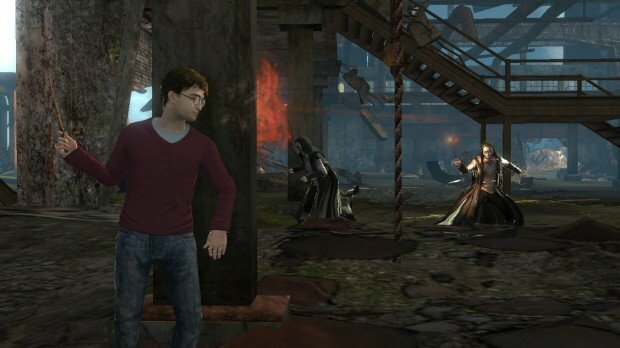 Under development by EA Bright Light Studio, Harry Potter and the Deathly Hallows - Part 1 and Harry Potter and the Deathly Hallows - Part 2 are being developed for the PLAYSTATION®3, Xbox 360™, Wii™, Nintendo DS™, Windows PC, and mobile devices.